VPN Unlimited doesn't stand out through anything specifically. There are some important features missing, and even though the price might seem low at a first glance, it's still unjustified considering the quality of the product. 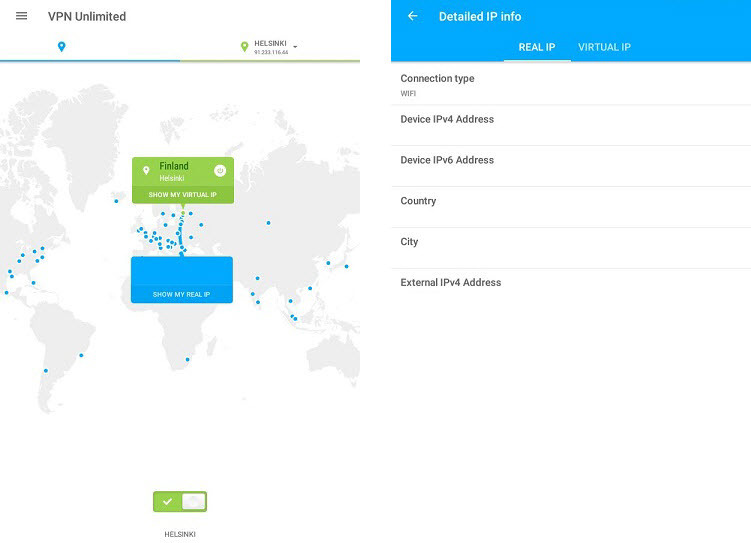 VPN Unlimited is a VPN service based in the United states offered by KeepSolid Inc. They also offer other security solutions such as a private browser, wifi hotspot protector and more. We will discuss these a bit later in the review. 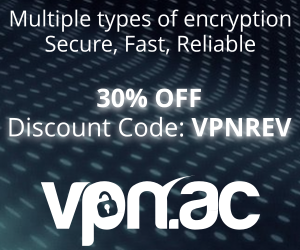 VPN Unlimited offers over 300 servers in over 50 locations world-wide. For a full list of server locations you can check out their server map. These statements should give you a pretty good idea about what the logging policy is, but we recommend visiting their privacy page for an up-to-date version. 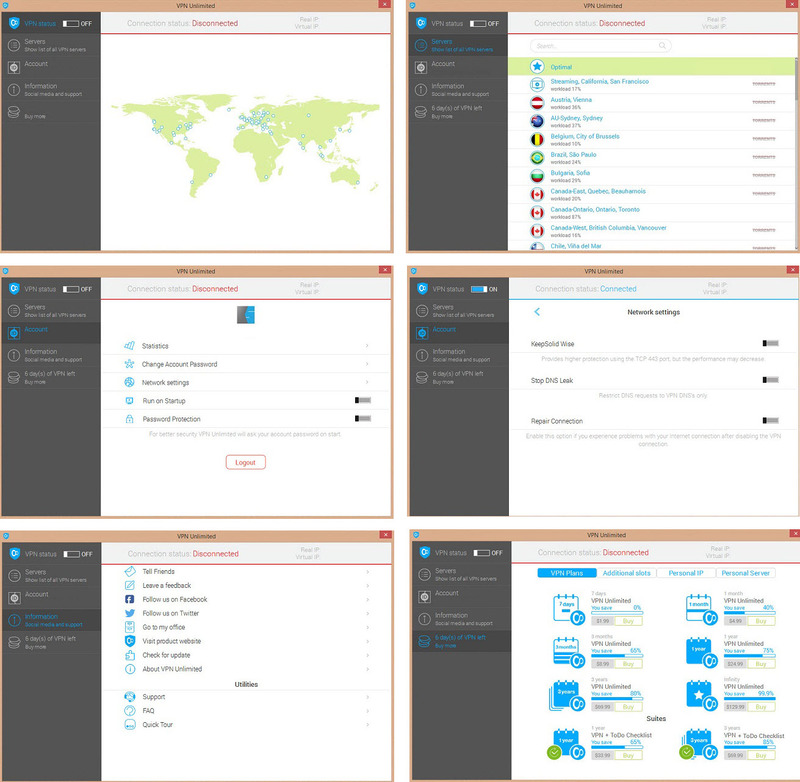 VPN Unlimited offers proprietary applications for iOS, Android, Mac OS, Linux, Windows, and Windows Phone. They also support Apple TV and have Chrome and Firefox extensions available. The Windows software is pretty straight-forward and it has most of the features available right of the back. The account tab has a network settings button that gives you additional options to customize your experience. The application performed well, there were no issues, but we were disappointed to see there is no kill-switch or auto-reconnect feature. We’ve seen the prices being posted within the application with other VPN services, but in this case it just seems like a luring mechanism rather than a useful quick link. As mentioned before, we were expecting the windows application to have more features available, unfortunately it seems to be a visual expansion of the basic features offered by any open-source OpenVPN solution. Their website is packed with sensational claims such as “Total Security” and “Absolute Anonymity”. These are not 100% true, and should not be taken too lightly when considering a VPN service because it might denote the way the company conducts their overall business. It’s very important to choose a transparent and truthful VPN service, and we usually opt against companies that advertise half-truths like the ones mentioned above. The company KeepSolid also provides several other security solutions. We will not go into a great deal of detail as to what these services do, but you can check out their homepage if this is something that interests you. VPN Unlimited uses the OpenVPN protocol on Android and Windows platforms, and IPsec on Mac and iOS. OpenVPN supports Blowfish 128 bit, AES 128 bit, and AES 256 bit encryption with RSA 2048 for key exchange. IPsec connections use AES 128 bit encryption. 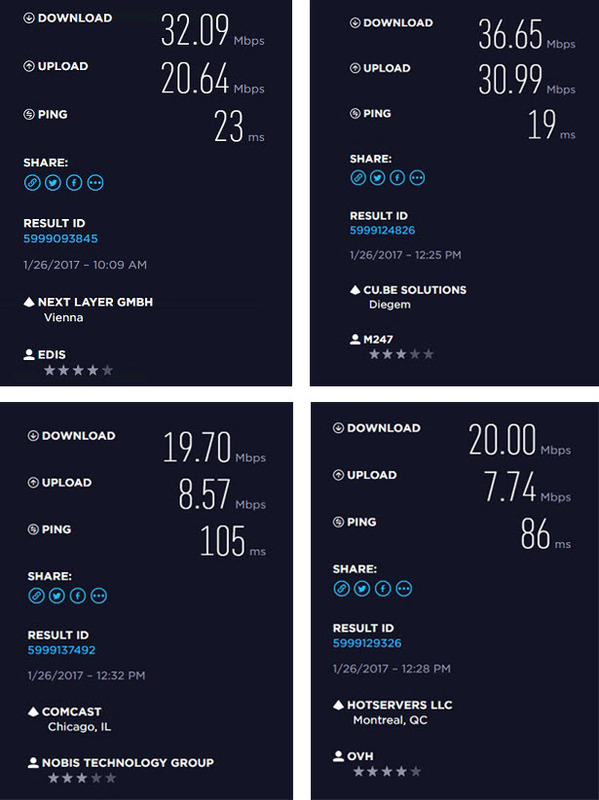 The speed test results were average, and it just seems like the infrastructure is not up to the task. We say this because the less populated servers performed much better, meaning that if you need to access a highly-populated location (which are usually the more popular), your speed might decrease. The browsing experience was good, there were no interruptions, disconnects or other notable issues. We ran into a glitch that was not displaying our IP correctly, but we resolved that with a software restart. The torrent speed tests were well below average, and we have to mention that only the US-California 1, Canada-Ontario, Romania, Luxembourg and France servers have torrent download capabilities, the rest being flagged as unavailable for P2P. The mobile application performed well, it is well designed but lacks in the features department, just like it’s desktop consort. It’s not necessarily that it does something wrong, it’s just that it doesn’t seem to do enough. There are free VPN services that offer more complex mobile applications with a lot more options for customization. We feel that some features such as kill-switch should be mandatory, especially if you are going through the trouble of developing a stand-alone application. The speed test results were fair, but nothing impressive. The browsing experience was fluid and the speed was more than sufficient even for more demanding tasks such as streaming video content. It’s very important to understand that the speed provided by the service is a very good reflection on the quality of the infrastructure used (which in the case of VPN Unlimited is made up mostly of VPS or cloud-based server solutions). VPN Unlimited offers the following pricing plans. Do not make the mistake to think that the access to other devices is free. We mention this because the website doesn’t clearly state the policy about multiple devices being connected simultaneously, it’s only displayed at the check-out point and only if previously selected by the user. Currently, there is a discount available for the lifetime subscription through Stack Social. When accessing the discount page you will be able to purchase the lifetime subscription for only $29.99 as opposed to the $129.99 price that they have available on their website. There is a 7-day free trial once you register for a KeepSolid ID form the application. You have the option to do this after downloading the software and logging in directly. You will be prompted to log in with one of the major social media services or to create a KeepSolid ID. Payment methods include credit cards, PayPal, Amazon, Bitcoin and others. The technical support department was somewhat helpful, but we didn’t appreciate that they disregarded our e-mails. The first one was answered, but then two more followed as we ran into several issues. These have been linked to our initial ticket (there was a confirmation e-mail that informed us that our issues have been linked together) but never addressed. We assume that they will be answered eventually, but we don’t understand why they could not have been addressed in the same fashion as the first one, especially since the questions were not exactly technical issues but more informational than anything else. In short, we feel that VPN Unlimited is a rather poor-quality service that offers nothing special for a higher price than its competitors. Here is a quick break-down of what we liked and what we didn’t. A good number of server locations available. Proprietary applications for all major operating systems including Windows Phone, Linux and also offer extensions for Chrome and Firefox. Software is lacking some important features such as kill-switch and auto-reconnect. Shady claims such as “Total Security” and “Absolute Anonymity”. 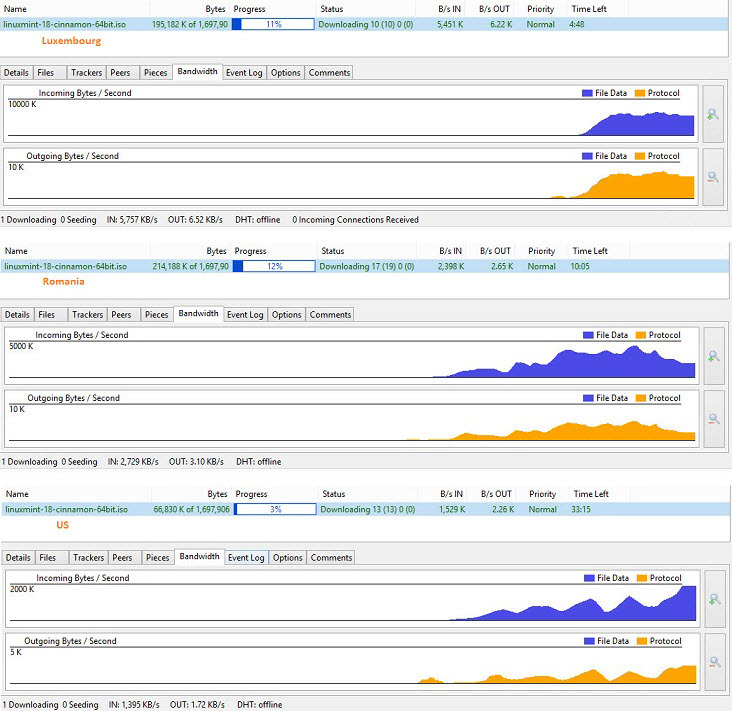 Very low torrent download speeds. Incomplete mobile application, no features available. Expensive service considering the performance. Technical support service experience was not ideal, some issues not addressed. All this being said, we give Unlimited VPN a rating of 5/10. Rarely Connects. Support never answers. Speeds are okay if you can connect 100 MB on my 300MB line. Very few cities to choose from. Would not reccommend.